GoWild Casino speaks for itself in the online gambling industry. 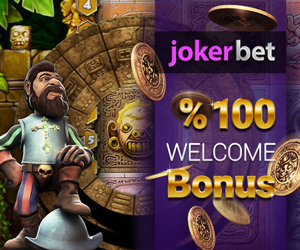 Since 2007 it has registered an incredible growth when it came to popularity and unique gambling experiences for players around the world. GoWild has always offered quality services and incredible game features and bonuses. Powered by Microgaming, the famous software provider for online casinos, GoWild’s portfolio presents an exquisite palette of over 500 games, each of them meeting every player’s needs. The online casino manages to get high ranks and positive reviews due to its variety of gambling games and one-of-a-kind features. There are video slots, blackjack, craps, baccarat, roulette, live games and video poker, categories that transpose the classic casino format in the online world. For example, the most requested and popular games online can be easily found on GoWild’s Casino list. Therefore, Tomb Raider – Secret of the Sword, Game of ThronesTM or Thunderstruck II offer amazing game experiences and visual effects! For competition lovers, GoWild Casino also organizes tournaments, so that players can feel more motivated to test their own skills. For what it’s worth, every user gains experience through the most challenging slot tournaments available online. New players receive a royal treatment; they have the benefit to collect a Wild Welcome Package which consists of 1000 casino credits and additional 150 free spins bonuses for the most popular video slot games. VIP loyalty bonuses and promotions are available for the VIP club while the VIP promotions offer bonuses up to 1000 credits. As technology advances, GoWild is up to date in order to suit modern times. There are 3 options regarding gameplay: mobile, instant-play and download. When it comes to the mobile version, players don’t need to install an additional application and no other software is required. The link to the mobile site can be received directly from the website by SMS, e-mail or QR code. As one of the most honorable casinos in the online gambling industry, GoWild is using a random number generator which stands tall behind the fairness of iGaming policies. Also, the casino delivers trust through its SSL (Secure Sockets Layer) software that keeps the players’ personal data safe and secure while withdrawals or deposits are made. For banking deposits there are options that are instantly approved: EPS, Puggle Pay, Ukash, WebMoney, PaySafeCard, InstaDebit, Neteller, Skrill, SoFort, EuTeller, GiroPay and Poli. Also, for withdrawals which are processed within two days, the popular options still remain: Visa, Neteller, Maestro (UK), InstaDebit, Entropay or Skrill. The classic Direct Bank Wire Transfer is available as well. GoWild Casino offers players around the world a 24/7 support service. The Customer Support consists of a professional team which can be contacted by phone, e-mail, fax or Live Chat. Due to its user-friendly interface, GoWild Casino is incredibly simple to use. Signing in is a piece of cake! Despite the casino version you decide to use, the registration form can be filled in in one minute. We offer our players the options of Real Money and Practice Play. Practice Play can be used to try out some of our games for free but we recommend you select the Real Money option because only Real Money players can enjoy the new player welcome bonus, Wild promotions and super-fast cash outs. Once the registration has been completed, you will be prompted to “create account” and thereafter you will be presented with your GoWild username and password. You will now have all access to over 500 games, massive progressive jackpots, friendly service agents and Wild promotions. Credit Card, Debit Card, Visa, MasterCard, Maestro, Solo, Neteller, Ukash, Skrill, Euteller, ecoCard, UseMyFunds, InstaDebit, PaysafeCard, iDeal, POLi, WebMoney, Giropay, SOFORT, EntroPay and Bank Wire. Visa, Maestro (UK only), Solo (UK only), Neteller, Skrill, ecoCard, InstaDebit, Bank Wire and EntroPay. Belgium, Denmark, France, Greece, Israel, Italy, Malta, Romania, Singapore, South Africa, United States, Spain, and United Kingdom. Wild Welcome Package – 1000 casino credits and 150 free spins. Second Deposit – 50% Bonus + 50 Free Spins on the stylish video slot Riviera Riches. Third Deposit – 70% Bonus + 50 Free Spins on the epic Avalon II slot and play a €350 Exclusive Free Roll on Thunderstruck II. Unlocking Promotions Access – After the Wild Welcome Package, users can access promotions such as Spin Machine, Wednesday Deluxe, or Twice the Fun, Double the Loyalty. Let me know if you have any more question.